DC&S Carpet Cleaning takes pride in our services provided knowing that paying attention to detail is the key element when getting surfaces cleaned. Quality is our foundation. Satisfaction is the structure in which the customers happiness is displayed with a smile after each job. We want to turn customers into clients knowing that if you need us today, tomorrow, or years from now you can call on us to be there. 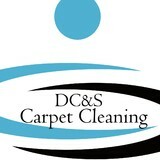 If you want a company that you can trust, that is professional, then DC&S Carpet Cleaning is the company for you. Services include Carpet Cleaning, Commercial Carpet Cleaning, Area Rug Cleaning, Upholstery Cleaning, Sofa Cleaning, Steam Cleaning, Carpet Stretching, Carpet Stain Removal, Floor Cleaning, Mattress Cleaning, Office Cleaning, Wood Floor Cleaning, Emergency Water Extraction, Hot Water Extraction, Tile & Grout Cleaning, Oriental Rug Cleaning, Odor Removal, Curtain Cleaning and Carpet Cleaning Prices. 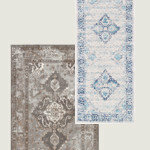 Advantage Plus Carpet Cleaning, is committed to excellence in every aspect of our business. We uphold a standard of integrity bound by fairness, honesty and personal responsibility. Our distinction is the quality of service we bring to our customers. Accurate knowledge of our trade combined with ability is what makes us true professionals. Above all, we are watchful of our customers' interests and make their concerns the basis of our business. When you choose Shane Steamers to care for your home you’ve chosen wisely. We pride ourselves on our years of professional service to our customers throughout Henry, Rockdale & Newton Counties. Shane Steamers technicians are professional, polite and well trained. Our technicians have received Certifications from the Institute of Inspection, Cleaning & Restoration Certification (IICRC). Our certifications are not just in carpet and upholstery care, we are also certified in the proper care, cleaning & restoration of stone, masonry and ceramic tile. 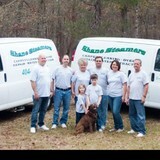 Shane Steamers has earned the trust of thousands of home owners in the Southeast Atlanta suburbs. Shane Steamers is a family owned and operated business. Bobby Shane and his wife Jill have two children, Levi and Sarah. We appreciate the opportunity to come into your home and clean your carpets, tile and upholstery. We believe every job is an opportunity to build a relationship. We believe that everyone, whether in a house they own or are renting, should be able to afford to have their carpet cleaned and enjoy a clean, healthy home! 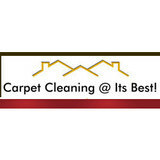 Carpet Cleaning @ Its Best was founded in 2010 by Charles Roland Sr. It started out as a part time business that grew into a full time business through hard work and top notch customer service. We have serviced Thousands of residential homes and businesses throughout Georgia. Prior to seeking entrepreneurship as a professional carpet technician, Charles worked as a Commercial truck driver with a Class A license. While doing so, Charles worked part time as a carpet cleaning tech for companies who serviced the elite buildings in the state of Georgia such as Bellsouth, UPS, Georgia Power, and a handful of buildings in downtown Atlanta. In the process, Charles was trained by what he calls one of the best in the business, Mr. Walter L. Carter, Jr. Walter knew and understood how important it is to give the customer what they are paying for---clean, unsoiled carpet. Whenever Walter wasn’t in the building, you knew it because the carpet cleaning just wasn’t the same. He helped mold Charles into the carpet cleaning tech he is today. Charles has carried on the same principles he learned from Walter, and he is now applying them to Carpet Cleaning @ Its Best. Charles has many years of experience in carpet cleaning, and he is locally known as one of “the best in the business.” So, if you are not sure which Carpet Cleaning Company to choose…we do know one thing, you can’t go wrong with us. A Clean & Tidy Carpet Cleaner, Inc. Since 1979, A Clean & Tidy Carpet Cleaner has been delivering quality service to all surrounding counties of Conyers, GA. Each technician is professionally trained in areas of carpet and upholstery cleaning. We are a Certified firm of the Institute of Inspection Cleaning and Restoration Certification (I.I.C.R.C.) and staff a Master Cleaning & Master Restoration Technician. We are members of the Society of Cleaning and Restoration Technicians and received the Top Firm Award for 2000 (S.C.R.T is a non-profit trade organization for companies of all sizes and sectors in the inspection ,cleaning, restoration, and related industries). What should I look for in a local Milledgeville carpet cleaner? Not all Milledgeville carpet cleaning companies use the same methods, but there are a few common things that they should do to for a quality job. Make sure they do an analysis on the area you need cleaned and recommend the best course of action — are there large stains or high-traffic areas that need extra treatment or attention? Also, make sure they provide quick drying times so that you can be back in your home faster; that means hours, not days! A good carpet cleaning service in Milledgeville, GA should move furniture (within reason) and put it back in place when they are all done; don't let them charge extra to do this. Another important factor to look out for is whether or not the carpet cleaners use chemicals, and if so, they should be asthma- and allergy-friendly. This is especially important for households that have children or pets. 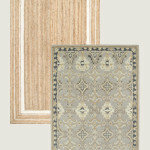 Lots of Milledgeville carpet cleaning services also clean rugs. 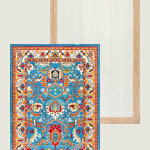 Rug cleaning can involve anything from a simple wash to complete re-weaving or foundation work. 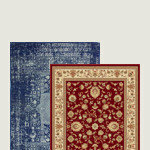 Make sure the local rug cleaner you choose has experience with the types of rugs you need serviced, especially if they are hand-woven or Oriental rugs. What should I look for in a local Milledgeville upholstery cleaner? Upholstery comes in many more varieties than carpet and rugs, thus needs cleaning tailored to each specific blend. Even if you don’t know what material your sofa or chair is made with, a good upholstery cleaning service in Milledgeville, GA will be able to identify it and treat it appropriately. Some textiles require dry cleaning and that can’t be done in home, so if that’s the case, check with the upholstery cleaner and see if they offer pickup and drop off services. Leather cleaning is a bit different and often involves more restoration and conditioning than actual cleaning. Make sure the Milledgeville furniture cleaning service specializes in leather if you are considering them for the job. Find Milledgeville upholstery and carpet cleaning services on Houzz. Narrow your search in the Professionals section of the website to local carpet cleaners in Milledgeville, GA and read reviews and ratings to find one that fits your needs.